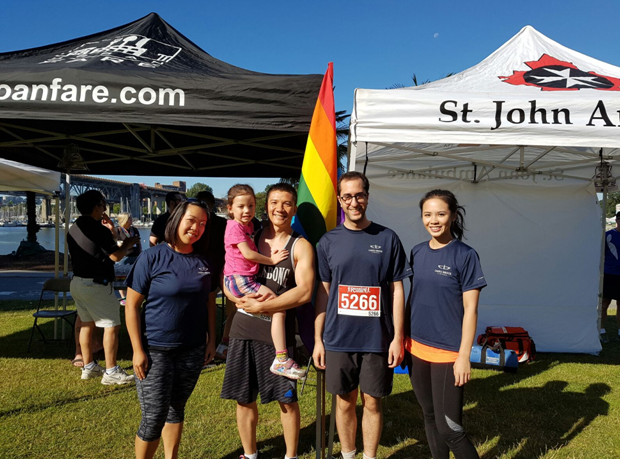 On July 24th, Cassels participated in the Vancouver Pride Run & Walk. The event is a 5 km run or walk along the seawall where participants can choose to stop at the Disco Water Station to get lathered in love and sparkles. There were some amazing costumes – walking rainbows, cute gang of sailors in short shorts and pink neck ties, fluffy tutus, and much more. Families and friends came to support us as some of us huffed and puffed and others breezed through it with a shining smile. The Pride Run & Walk is an annual event and all proceeds go to Out in Schools and the LOUD Foundation. Not only did we enjoy the energy level at the seawall during the run, we also enjoyed replenishing our energy with brunch by the water afterwards!